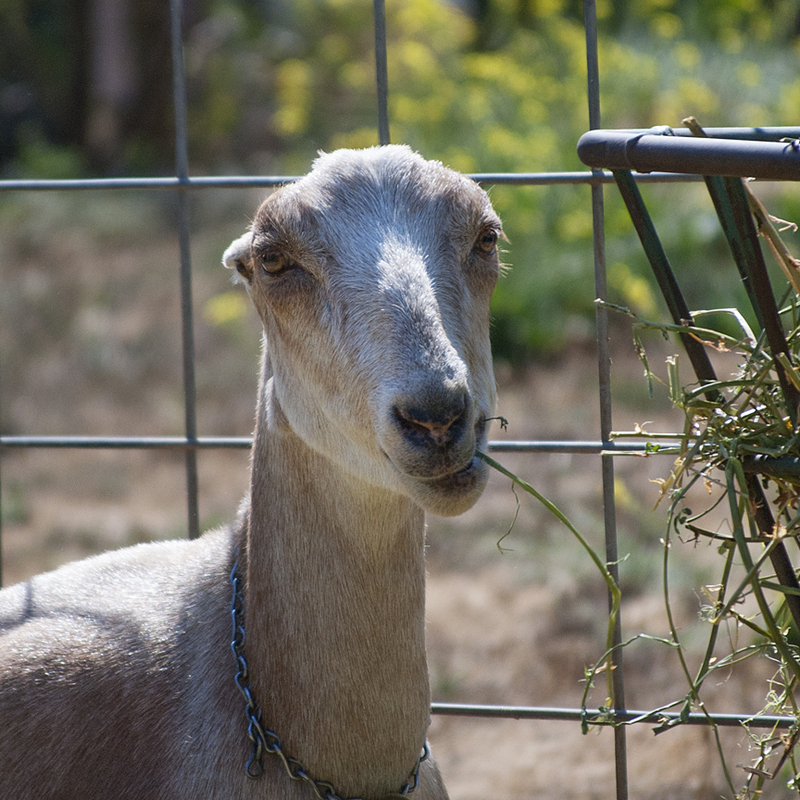 When current Farm Manager Scott Bice returned to work at Redwood Hill Farm in 2001, he was immediately drawn to the short eared Lamancha goats and their amazing personality. One in particular was Compañeros Time Melissa. Melissa knew her name and was deft at opening supposedly goat proof gates in the milking parlor in search of getting her mouth on paper towels or more grain. Melissa was the first goat Scott showed in the ring and her Lamancha stubbornness was evident as he couldn’t get her to circle around the ring…not even when tempted by a paper towel! At the time, the Lamancha herd at Redwood Hill Farm was a mix of Redwood Hill Farm and Compañeros dam lines with some Quixote and Kastdemur’s genetics. After seeing Scott’s interest in the Lamanchas, Redwood Hill Farm owner Jennifer Bice generously gifted Scott the Lamancha stock for him to work with. In this group was a kid out of Melissa that Scott named Redwood Hills Mighty Mouse, who went on to win her class later at the 2007 ADGA National Show in Wyoming. A hot young milker entered the Northern California show scene in 2005, Kastdemur’s Evian. A buck was soon ordered from Evian, and three of her sons would end up working at Redwood Hill Farm in the next five years—Dasani, Rhone, and Tach Lach. As well as an Evian grandson, Kastdemur’s Wai’ale’ale who has been in the top of the Elite Sire Summary the last few years. A big thank you to Krista Senn and Kastdemur’s for these genetics, as well for all of Krista’s help within the entire Redwood Hill Farm herd. It’s an honor to have the Kastdemur herd housed at Redwood Hill Farm. CLICK HERE to find more information at their website, www.kastdemurs.com. This Evian line breeding has helped both type and production. Winning a First Place Dairy Herd award at the 2010 Nationals has proven that. Vineyard View has been proud to carry on the goal of increased milk production within the breed that both Redwood Hill and Compañeros strived for years before.